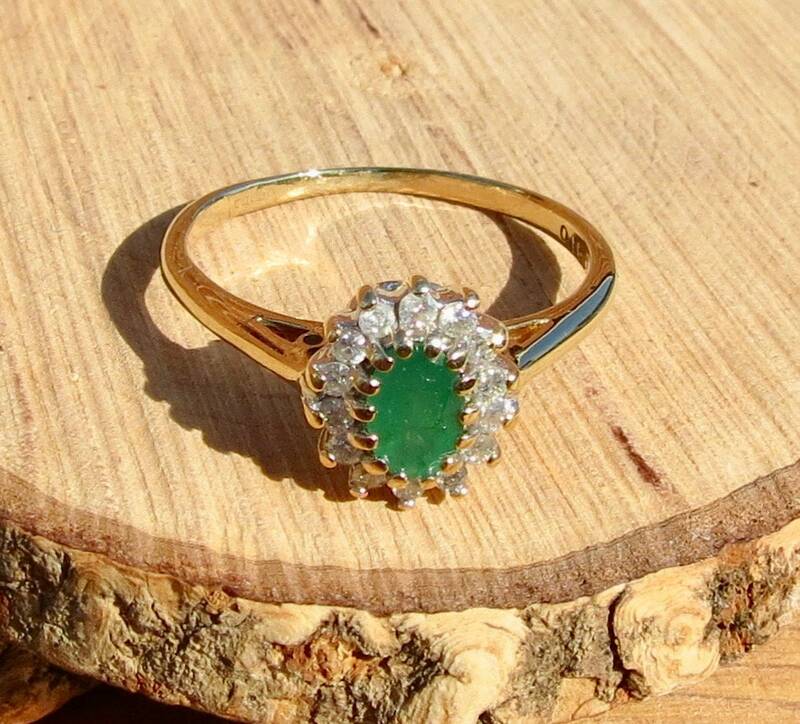 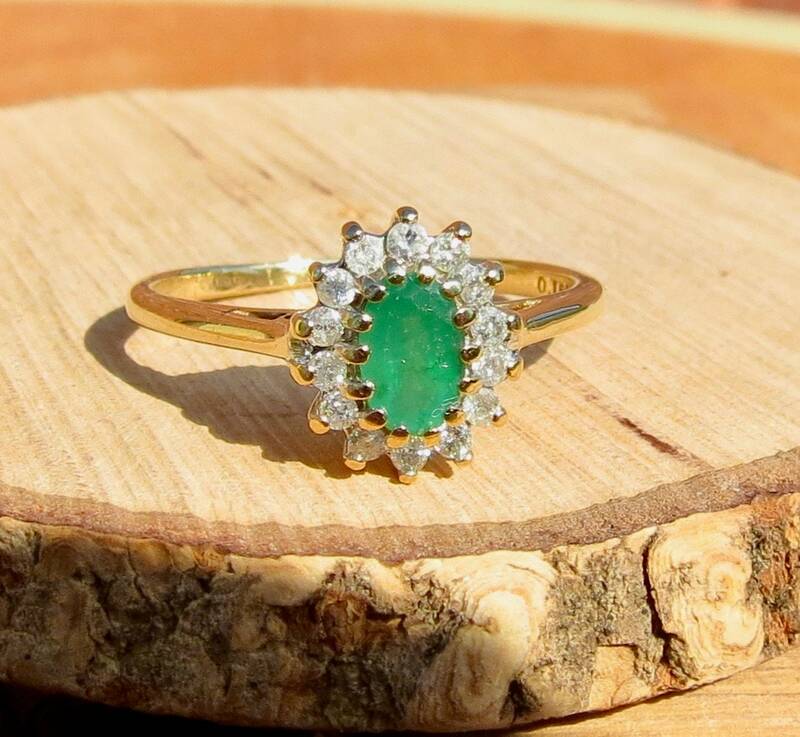 A vintage 9k yellow gold emerald and diamond ring. 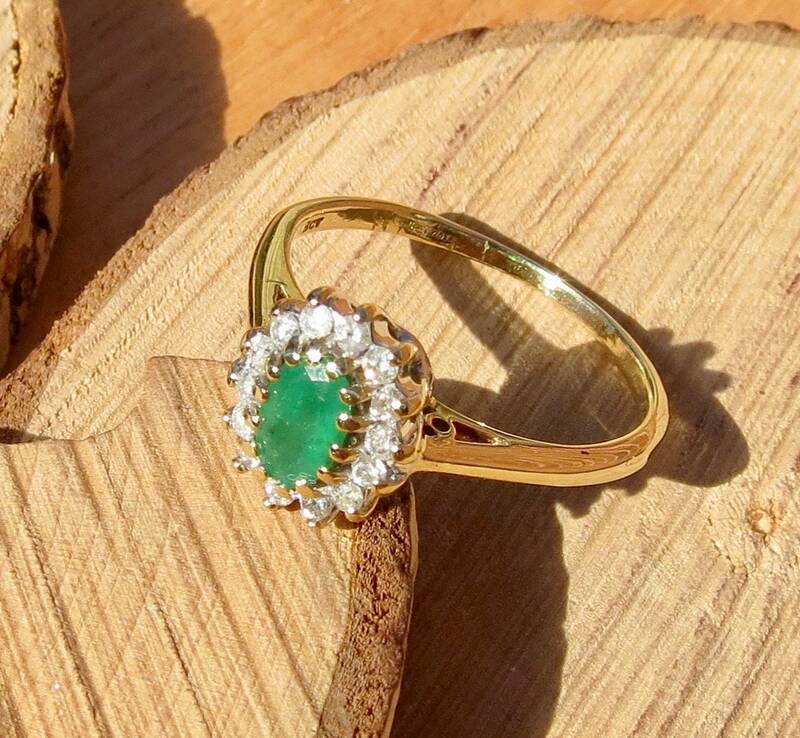 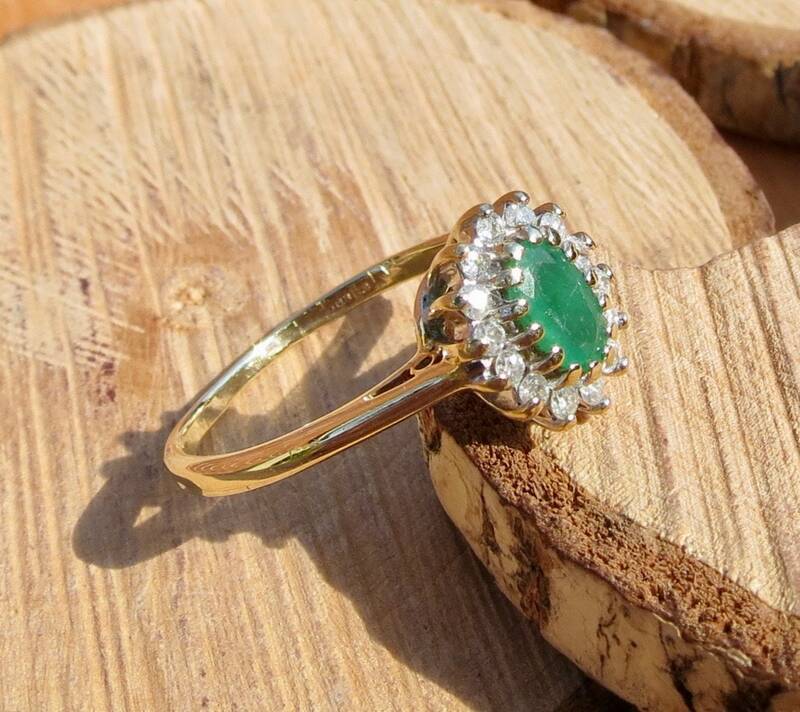 This vintage 9k yellow gold ring has an oval cut emerald in claw setting with a halo of brilliant cut diamonds. 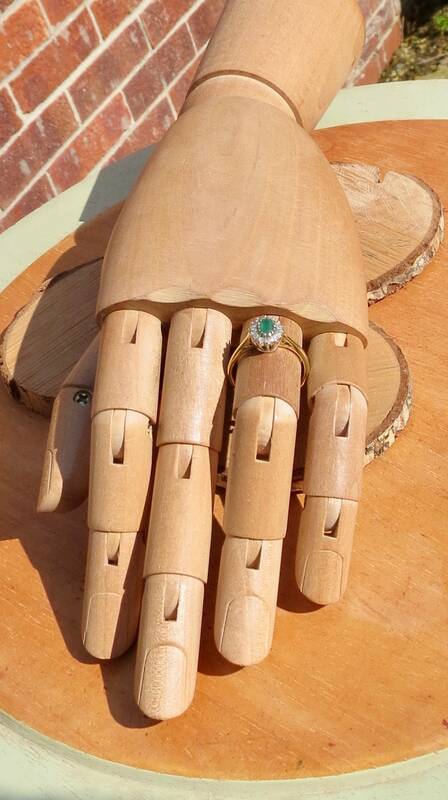 Full gallery and chenier shoulders lead to a plain shank. 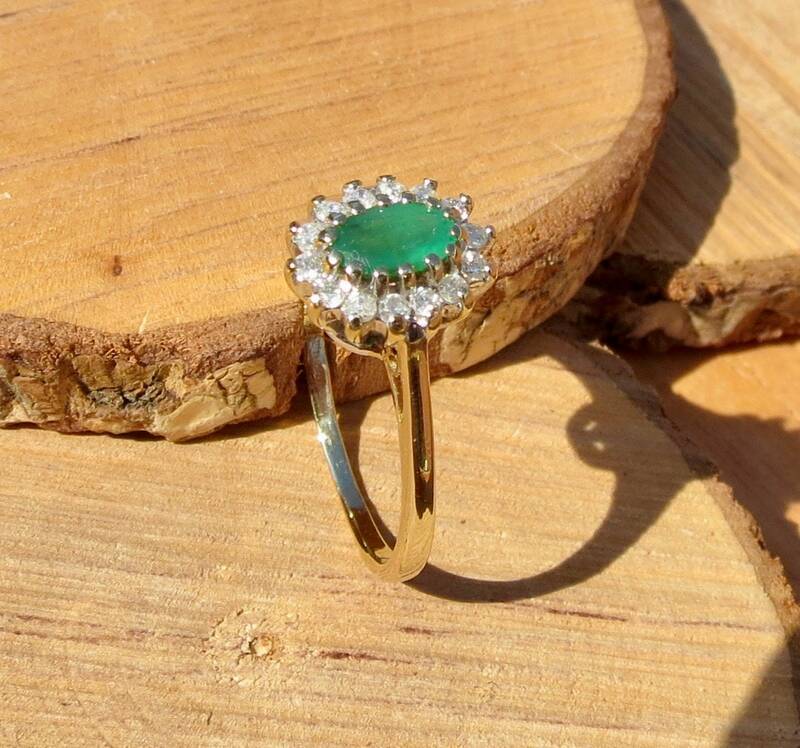 The emerald is about 1/3 carat and the diamonds total 1/6 carat. 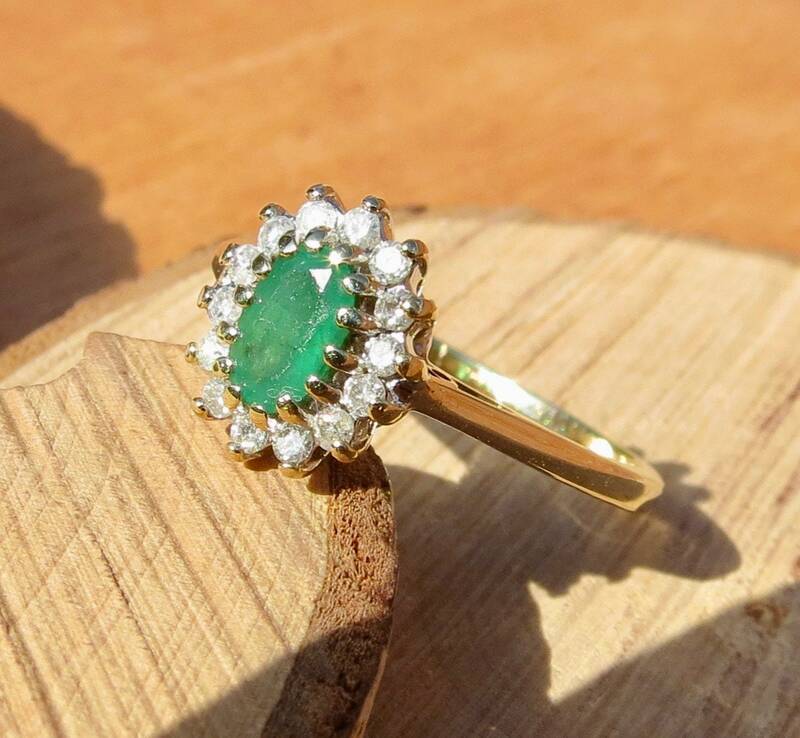 The setting is 1/2 inch in length. 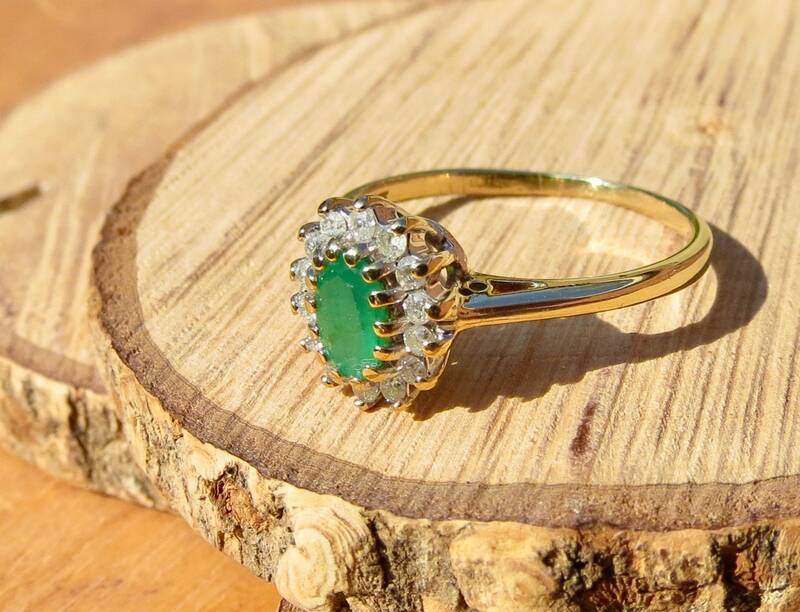 Full British hallmarks and makers mark. 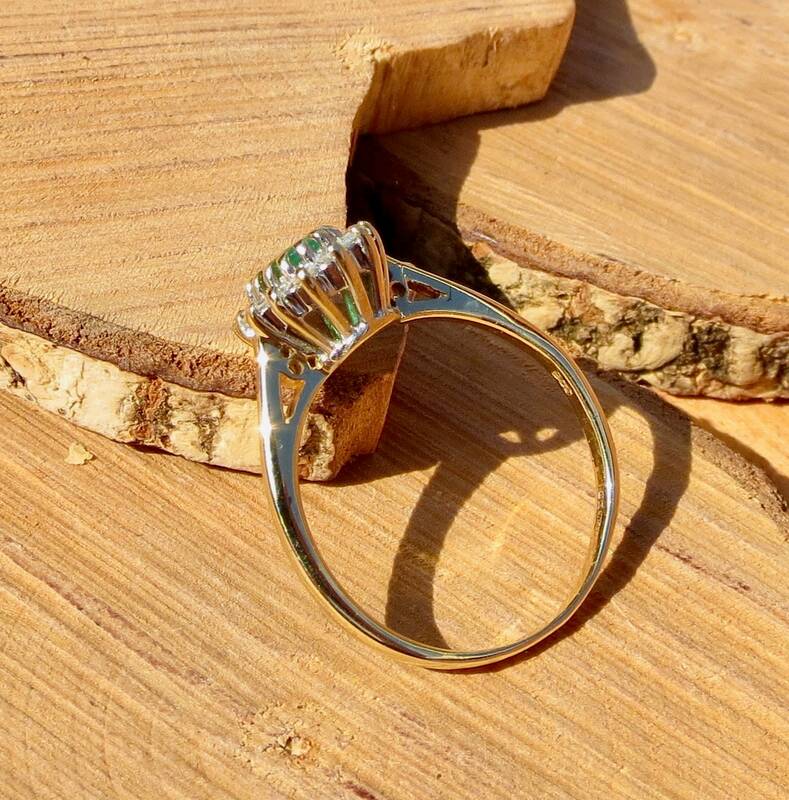 Also stamped 0.15 PTS diamonds. 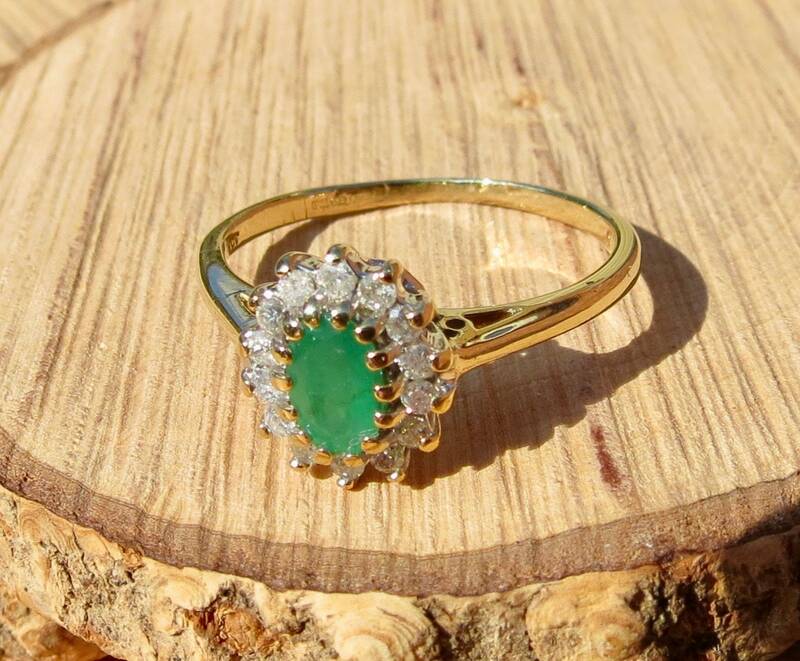 Just add the resize my ring listing to your basket before you go through checkout.